Your imagination is the only thing standing in the way of Bunkum’s doom – find out how to save the day with Sackboy and his pals. Bunkum is in big trouble. Thanks to Newton’s misguided actions, the titans have stolen all of the land’s creativity and trying to defeat them is a job that’s simply too much for Sackboy alone. So what’s our knitted knight to do? Once our woolly wonders are ready for action, you’ll find they’re bursting at the seams with personality. Swoop’s confident attitude, Toggle’s loveable bumbling and the adorably cheerful OddSock all put a grin on your face as they blitz through their specifically tailored levels. And what delightful levels they are, too. LittleBigPlanet 3 is chock-full of charm, with the spotlight obsessed Marlon Random and impatient Pinky of the Great Lagoon just two of the many other colourful characters you’ll encounter on your grand adventure. In a world where teacups with googly eyes and smiling tomatoes are normal, you may be wondering what awaits you in LittleBigPlanet 3. The answer? Everything! This creative platform adventure is a kaleidoscope of joy, with enough life and imagination to keep you playing till the wee hours. Variety is the secret ingredient. One moment you’re teleporting around a level, the next you’re filling cups with milkshake to activate a lift. Then you’re zooming through the anti-gravity of space or controlling a yeti through a giant furnace. This theme park mentality where anything can happen, keeps you on your toes between big boss battles, completing dozens of different objectives and collecting hundreds of items. Using the incredible skills of OddSock, Toggle and Swoop, while putting Sackboy’s new tech to use (such as the Boost Boots or the teleporting Blink Ball) makes each level fast, furious and full of surprises. Don’t forget that you can unlock lots of your content from PlayStation 3 classics LittleBigPlanet and LittleBigPlanet 2, so saving Bunkum in your favourite threads is as easy as pie. Sackchums unite – LittleBigPlanet 3 gives you and up to three buddies the chance to join forces and bring down nasty Newton and the titans. Whether it’s side by side on the couch or online, teamwork makes the dream work in LBP3. Be sure to customise your hero so they’re truly yours. Use one of the many pre-made designs or make your own using everything from hats and wigs to teeth and hands. 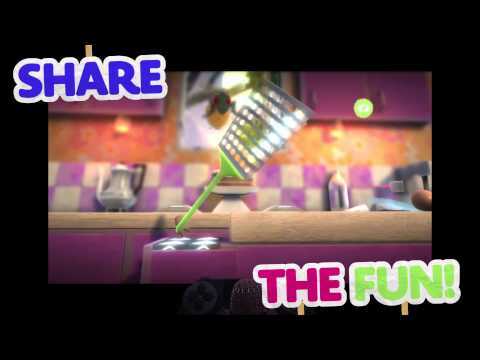 If you’ve got a Sackperson from LBP or LBP2, then bring them into the party with the easy to use download tools. Need a break from all that adventuring? 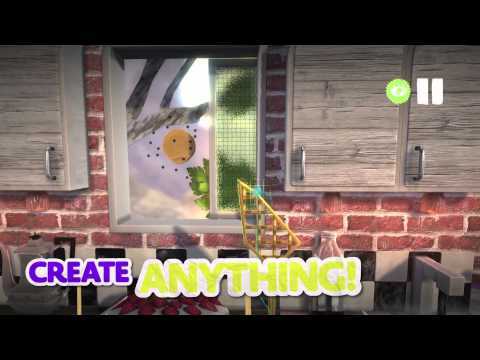 Then turn your hand to the Create mode and make your own game, whether it’s another LittleBigPlanet adventure or just some funky mini-games to keep you and your pals entertained. If you’re new to the vast and unlimited possibilities of the Create mode, the Popit Puzzles mode is your best friend. Acting as a friendly tutorial, Popit Puzzles teach you how to use the Create tools through entertaining, objective driven levels.